Katasha Charleston (’06 B.S., ’12 M.P.H.) graduated with her M.P.H., specializing in Health Promotion. She is the Director of Continuing Medical Education at Advocate Health Care. Why did you choose NIU’s M.P.H. program to further your education? I enjoyed my experience as an undergraduate in the Health Administration program. I also wanted to further my education in public health promotion. The program’s curriculum met the criteria that I needed to further my career goals. In addition, the course offerings were flexible and convenient. After earning my MPH, I was able to expand my career opportunities. I believe that my degree coupled with my experience gave me an advantage in today’s job market. One of the most valuable skills I learned in the program was the ability to build effective partnerships and relationships with key stakeholders through collaboration. The collaborative model encouraged students to discuss present-day issues and concepts in health care through group projects. In my current role, I used this model when developing and implementing major policies/procedures with my staff and key stakeholders. As a part-time student (two courses per semester), I spent approximately on average 8-10 hours/week on coursework outside of attending courses. 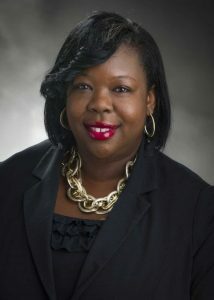 Prior to working in the my current career, I worked as an Adviser and Outreach specialist for health related engineering programs at NIU in the College of Engineering and Engineering Technology; an Education Specialist at a medical society; and an Education Project Manager at a medical education company. Take advantage of the faculty’s experience and expertise in the field, ask questions about potential career goals and form relationships with your classmates. I believe the relationships that I formed with my classmates contributed to my success in the M.P.H. program and in my career. Also, take advantage of internships that closely align with your career goals because internships can lead to potential employment opportunities. Research and explore all areas of public health and identify how the program can help your career goals. Join professional health care organizations.